Mumbai, April 5 : Global make-up legend Bobbi Brown has picked Indian stars Tamannaah Bhatia and Malaika Arora as her muses for her maiden India tour this month. Explaining her decision, she said: "I wanted someone who could seamlessly bring to life the diverse looks I would be showcasing without comprising on her own individuality. 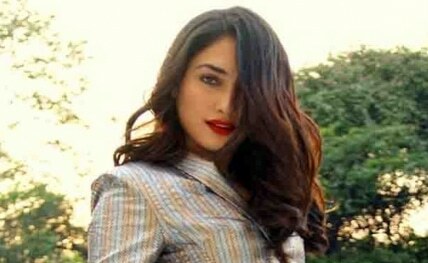 Tamannaah happened to be the ideal choice for Mumbai — she is natural, beautiful and confident and represents the committed spirit of the city that never sleeps. "Malaika, on the other hand, is a fashionista who is uncompromising when it comes to her style and beauty which somewhere represents the glitzy hustle and bustle of India’s capital. I’m certain they both will do full justice to what I wish to present to the Indian audiences." To this, Malaika added: "There are a lot of make-up artists I have associated with, but working with someone as iconic as Bobbi is such an honour, especially when it has always been one of the things I wanted to do in my bucket list. I’m very excited to see how she displays her signature no make-up look on me."